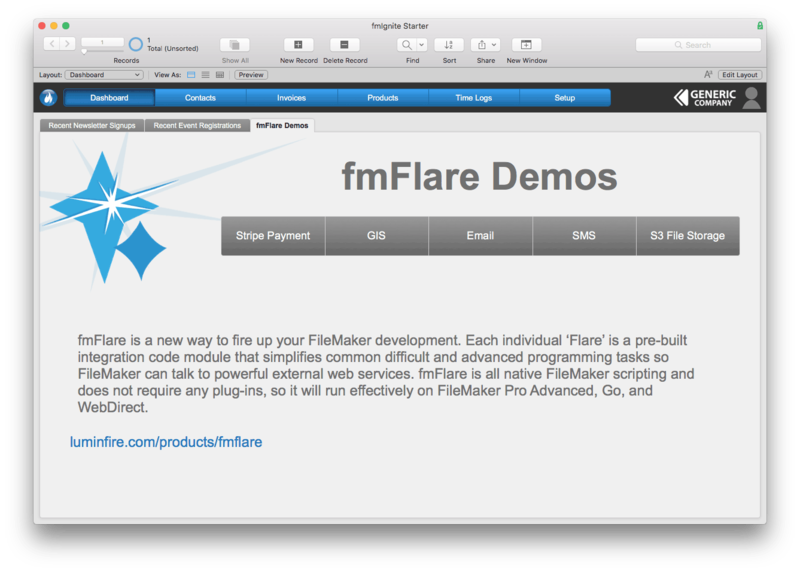 fmFlare creates a simplified FileMaker API (Application Programming Interface) that you call to do tasks efficiently. For example, sending an email with fmFlare is a call to the email Flare with things like the subject, message, To, CC, BCC, and attachment. Select a mail sender, to use different services without changing your code and choose from standard FileMaker send mail, SMTP, SparkPost, Mandrill, Amazon SES, or Mailgun! Take your solution to the next level. Let us make you look brilliant. Sometimes service providers change their web APIs, which can break custom integrations. LuminFire does the ongoing work of maintaining fmFlare to stay up to date. To upgrade, just swap out the fmFlare file. Modules are licensed individually so you only pay for what you need. Personalized setup and assistance in getting started is available from an expert FileMaker engineer so you can get started quickly. Since most Flares are integration modules, you will may also be signing up for external web services with an account. With fmFlare, you are protected from major pricing changes with external web service vendors because you can easily change the services by changing one parameter in your script. If they change their pricing model and it is no longer cost effective, just switch to a different service! For example, today you might use Amazon S3 for storage…but you could switch to Backblaze B2, Google Drive or Dropbox in the future. “We need to talk about your flare.” Each time you add flare to your solution it becomes more powerful so you’ll want to collect as much as possible. See all the flare details here. fmIgnite Starter provides all the fmFlare starting points and demos. You have Gigabytes of image or video data. Storing it in FileMaker container fields can cause database bloat, backup, and sharing issues. Move all that container data out of your FileMaker database to a reliable web service. Your database will be maintainable, your backups much easier, and your data can be shared with web solutions and users without FileMaker accounts easily. 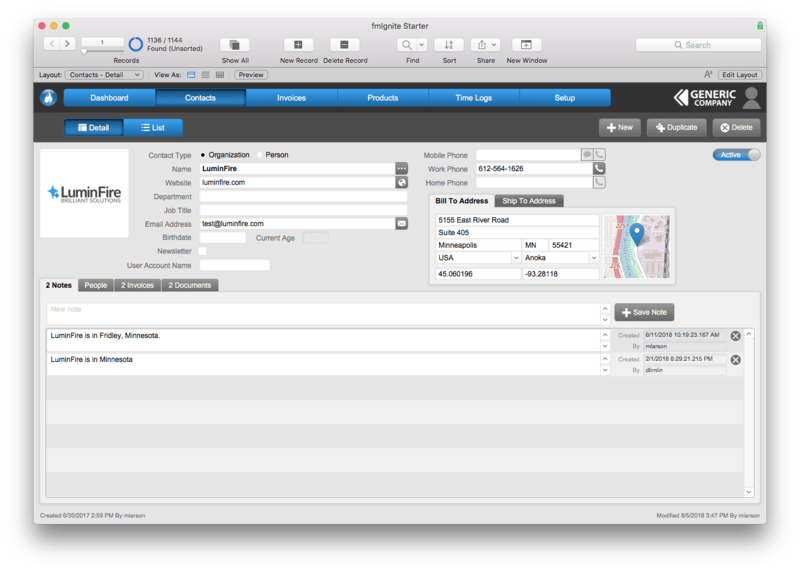 Email services like Sparkpost, Mandril, and Mailgun can be used to reliably send thousands of emails email from FileMaker. Email arrives in the end user email box with lower probability of it being spam as well as tracking with analytics. 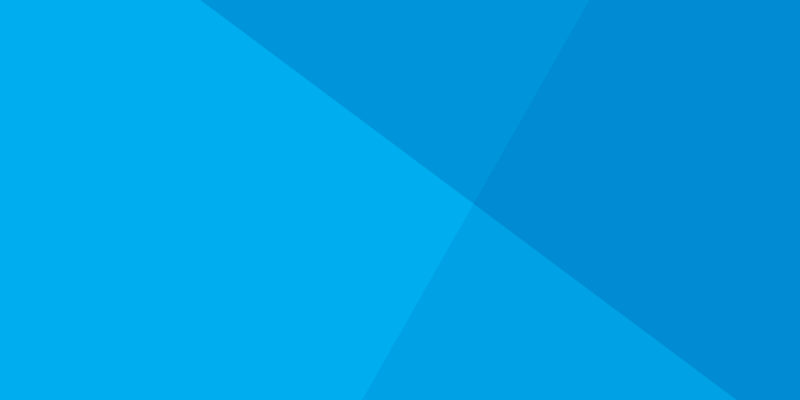 Send scheduled emails or emails formatted with html. Geocoding – Turn your addresses into geographic coordinates to facilitate mapping and spatial queries. Flare supports many different free and paid Geocoding services including Geocodio, Nomatim, Census.gov, and Smarty Streets more. Interactive and static maps for FileMaker webviewers… Just pass in the single or multi point data you wish to map along with hundreds of configurable options for basemaps, presets, etc. to get the maps you desire for your solution. Utilize Stripe or PayPal to process payments. Utlize Twilio to send instant messages to smartphones.